Getting out of a long, meaningful relationship is never easy and different women have different coping mechanisms. One of these is going through a number of rebound relationship stages. Some of us prefer to take it slow, have some time alone to heal and learn to be single again. Others like to take their mind off the pain, hang out with friends, hit every party and do everything possible to forget about the ex. And yet others have a completely different strategy: getting into a rebound relationship. No matter which category you fall into, you've probably found yourself in a rebound relationship at one point of your dating life. There's something about a rebound guy that just seems like the perfect idea at that moment when we're hurt, disappointed and lonely. Even though rebound relationships almost never work (for obvious reasons), there are cases when they actually work out and turn into real relationships. The key is to recognize the phases of a rebound relationship to be able to handle the situation and stop yourself from making a permanent mistake. Here are the 7 rebound relationship stages you need to be aware of. When you break up a long and serious relationship, things are almost always going to be messy. Which means that you'll end up heartbroken, disappointed, angry, and you'll probably swear your next boyfriend will be completely different. So, if you're the type that goes for rebound guys, it's almost guaranteed that you'll choose a man who's the absolute opposite of your ex-boyfriend. In your head, this will seem incredibly logical. If you used to fight a lot with your ex, you'll pick somebody nice. If your ex was a bit boring, you'll choose somebody fun and adventurous. You might even go as far as to fall for somebody who looks completely different to your usual type. You may not go through all rebound relationship stages you'll find here, but you will definitely go through this one. The honeymoon phase is that sweet, perfect part at the beginning of the relationship when you're not exactly being realistic. At this point you will still believe this is the perfect man for you; you will almost feel like it's meant to be this time. What can go wrong, after all? This guy is the exact opposite of your ex which practically guarantees the success of your new relationship. The only problem here is that you're not seeing things clearly. You see what you want to see and there's a good chance that you'll ignore some clear red flags. The honeymoon phase can last from several days to several months, but it has to come to an end sometime. As it begins to end confusion will creep in. This is the part when you realize that you're in a new relationship but you don't exactly know how to act. The trouble here is that you'll still be emotionally stuck at this stage. Maybe you'll still have feelings for your ex, the trauma will be fresh and you'll keep all the habits from your previous relationship. In the Confusion stage, you might start copying your past behaviors as if you just want to pick things off where you left them with your ex, failing to understand that you're with a new person who functions completely differently. Just like your old habits, you won't be able to shake your emotions off, whatever they may be. That's why you'll suddenly catch yourself comparing your new boyfriend to your ex. After you've been with a guy for a long time, it's normal that he becomes a standard to which you compare everybody else who comes after him. That goes for both good and bad things. Maybe you'll realize that this guy is nice but not as fun as your old boyfriend. Or you'll start noticing some flaws that your ex also had. This is where you'll realize that you might be in trouble. After some time, you'll be faced with reality – you are in a rebound relationship. You'll realize that you're in a new relationship with new rules and now you need to decide what to do next. The Realization doesn't have to be a bad thing, but it's a turning point in your new relationship. 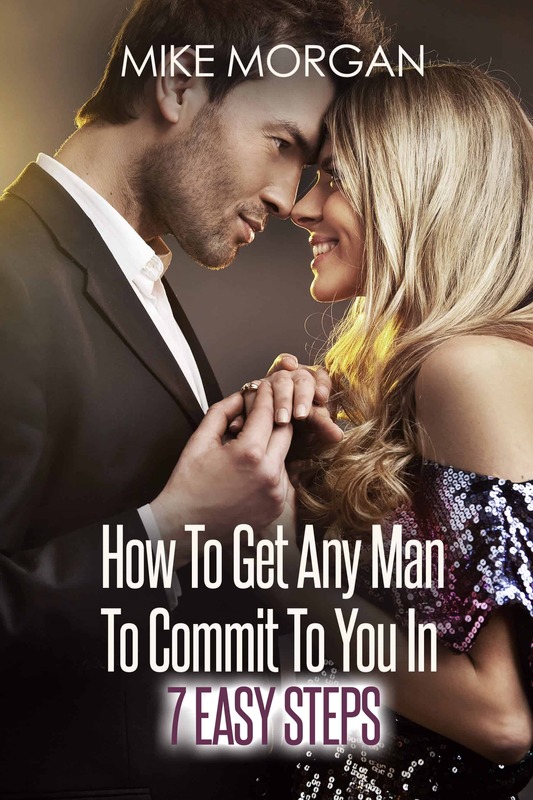 Once you get to this stage, you will need to decide whether you want to stay in this relationship and whether this man is really what you want. The Realization stage will quickly open your eyes and snap you back to reality. That means you'll probably want to reach a decision quickly. If this relationship is not something you want, this is where you'll start noticing all the bad things about your rebound guy. This is one of the stages in every relationship. But here, they will start to bug you more than in normal circumstances. The disappointment will hit you hard and every little flaw will seem much bigger. It doesn't matter if he leaves his socks everywhere or doesn't like the same music as you, it will be reason enough to break up with him. The final stage of a rebound relationship stage is the Decision. This is the moment of truth – do you want to leave or try to make things work? This is the first time you'll be able to see this guy for who he is, including his virtues and flaws. And you will not have to think long whether you want him in your life or not, you will simply realize that you are in love again. The important thing to remember is that if you decide to stay in the relationship at that point, it stops being a rebound relationship and turns into a real one. Rebound relationships are a completely normal way to cope with a break-up and you shouldn't blame yourself for moving on this way. Just make sure to recognize all the rebound relationship stages so you don't end up hurt again or hurt somebody else. And who knows, this relationship may even turn into the beginning of something amazing.